Once I immersed myself in the concept of noise and drone and I started listening to as much of it as I possibly could, I realised that there a an absolute plethora of subsets within the two genres. I mean, when I started getting in to this sort of stuff the idea that there would be different sorts of noise and a kaleidoscope of different drone records would have seemed a nonsense. The fact is that drone travels all of the way from the minimalist early records of Kevin Drumm, branches off in to near ambient territory and at the extreme end sometimes intersects with noise (Lasse Marhaug) to create an incessant maelveolence. 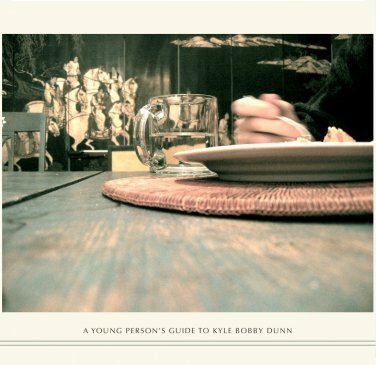 This record by Kyle Bobby Dunn of 12 long tracks over two discs travels in the “almost ambient realm” of drone. It’s like a cross between Brian Eno’s Music for Airports and Birchville Cat Motel with a Stars of the Lid vibe. Kyle Dunn is a composer and sound artist based in New York. He uses conventional instruments before processing him into these quite beautiful, epic pieces. This is the sound of peace and serenity. Ambient may be a dirty word in the noise/drone/experimental community but records like this prove that it shouldn’t be.